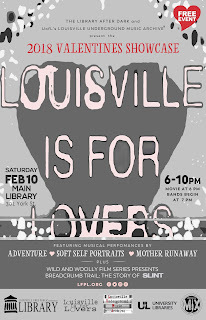 Louisville Is For Lovers: 2018 Showcase at LFPL! 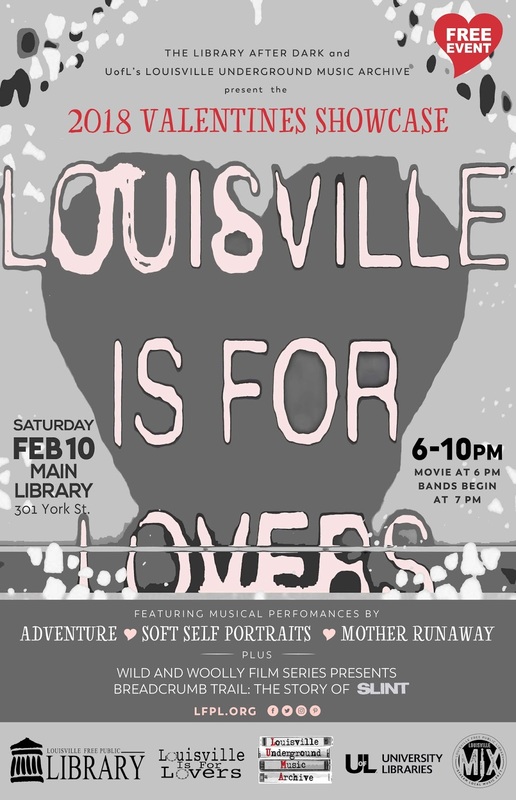 The 2018 Louisville Is For Lovers Valentine's Showcase will be on Saturday Feb. 10th at LFPL (301 York street) Featuring Adventure, Soft Self Portraits, and Mother Runaway. 6pm-10pm FREE.